The United Kingdom Gambling Commission (UKGC) has sent out a warning letter to the roughly 450 online gambling operators over advertising that might target underage gamblers, intentionally or not. The warning from the UKGC comes after a wave of public backlash over the potential harm such advertising might cause, triggered in large part by a (London) Sunday Times exposé claiming, “Cartoons Lure Kids to Online Gambling”. The exposé, as the rational mind would suspect, offered no actual evidence that underage gamblers were actually gambling on online sites, drawn there to play online slots featuring licensed characters and brands from the cartoon, comics, and classic children’s tales universes. Instead, it was sensational fuel for the fire of the anti-gambling crowd, triggering even more sensational and more false re-reporting on the story in the exposé’s aftermath. More on that in a bit, but for now, we’ll stick to the main storyline. The Sunday Times piece drew an immediate open-letter response within 24 hours from Tim Miller, the UKGC’s Executive Director of Corporate Affairs and Research. Miller didn’t rebut the Times feature directly, but instead stressed that the Gambling Commission already has in place a framework to examine and address such situations, and that that framework is being expanded and strengthened all the time. Then, within two weeks, the UKGC and three other regulatory or oversight bodies sent out the joint warning letter to all licensed operators, emphasizing that any such advertising could take many forms, and if it was deemed to be predominantly targeting an underage audience, would be banned. 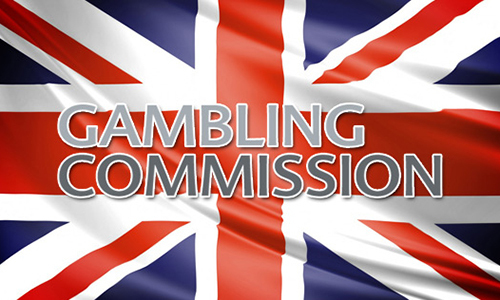 The UKGC was joined in authoring the warning letter by the Advertising Standards Authority (ASA), the Committee of Advertising Practice (CAP), and the Remote Gambling Association (RGA). generally available to view (‘freely accessible’). This relates particularly to freely accessible ads for play-for-free and play-for-money games and includes all graphics and images displayed on a website or in third party media. Recent articles in the UK national press have highlighted a number of freely accessible ads on gambling operator websites, which feature images that are likely to appeal particularly to under 18s. This is unacceptable. The letter footnoted links to five such articles. Those included three Sunday Times pieces, beginning with the one referenced above, and two more in the oft-sensational Daily Mail. The letter also included the note that four operators had already had specific ads banned after they were deemed to be too children-centric. The largest of the four was Cassava Enterprises, parent company of 888, regarding a Spider-Man slot game available online. Yes, play-for-free games are considered a form of advertising under the UKGC’s codes, so they may have to be offered more conservatively in the future. Also of note is that the UKGC plans to hold the operators responsible for the actions of third-party affiliates, should those affiliates run similar underage-targeting ads. The key point of it all is going to be determining what sort of ads and games are going to be deemed to be targeting children instead of just adults having a flashback to their youth, and there are hundreds of branded games that could fall into that category. The UKGC-led warning letter emphasizes the word “predominant” when deciding where to draw the line, though in practice, it’s going to have to be argued out on a case-by-case basis. 888 (Cassava), for instance, argued strongly that the Spider-Man material targeted adults more than children, since the classic Marvel Universe has been a comics icon for more than half a century. The UKGC didn’t agree, and they won the vote, 1-1. Ultimately, if you are uncertain about whether an ad might appeal particularly to under-18s, CAP advises you to exercise caution and amend or withdraw the ad pending any discussion with the CAP Copy Advice team, especially given the overriding emphasis in the Gambling Act 2005 and the CAP Code to protect children and young people from being exploited by gambling. The team offers a free, reliable and confidential service that provides advice within 24 hours of being contacted. There’s a lot of common sense in the UKGC-led approach, despite the inevitable squabbles over where the line is going to be drawn. Then there’s the sensational and misleading crap being pushed by the hardline anti-gambling crowd. One such US-based piece, re-reporting the story — and no, we won’t link to it — ran with the title stating that the UK has banned 450 sites for offering online gambling to kids. That’s so false it’s fake news, or rather, the conversion of a news byte into untrue propaganda. Figuring out how to market the product to an adults-only crowd has always been part of the equation facing online-gambling operators. Claiming that kids are gambling millions on “rogue” sites, as another Times piece claims, appears to be patently untrue. The Times has also claimed “victory” in the wake of the UKGC sending out the warning letter, though it’s self-serving pap of a particularly noxious flavor. The UKGC has been doing its job all along, an as the partnering in the letter with the RGA shows, most operators want to operate responsibly as well.